The new Accurail HO scale 36-foot box cars kits are being released. I recently picked up two undecorated car kits with the fishbelly center sills and corrugated metal ends. It’s exciting to open the box on a new model for the first time, especially a model that fits into my modeling focus. Let’s take a look at this new kit. Masking tape has been applied to portions of the lettering on these freight cars before the weathering processes begin. Several freight cars recently went through the weathering factory and each of them had some masking tape applied to protect part of the original paint coat or lettering. Model railroaders typically use masking tape in the process of applying large stripes or fancy paint schemes to locomotives or rolling stock. For these recent freight cars, the tape was applied to hint at changes made to the car. The tape became another tool in the weathering arsenal. Seven box cars were sent through the weathering factory recently. The effects of man and nature add to the appearance of the models and the Wheeling Freight Terminal layout. I enjoy working weathering into several different layers. Everyone seems to enjoy reading about the weathering processes, so let’s take a look at each of these models. 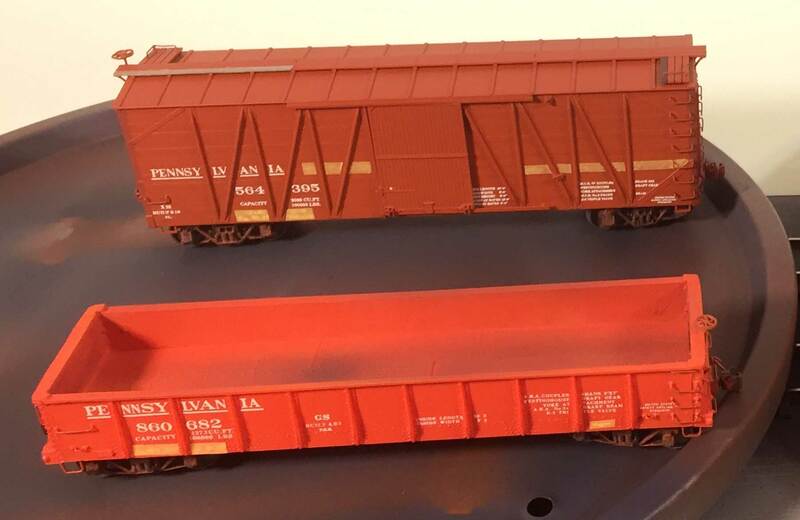 Dave Parker returns with an upgrade on an Accurail HO scale USRA hopper. Over the past few years, I have accumulated several Accurail USRA twin hopper kits in both the 24xx (as built) and 25xx (modernized) series. At least two of them will require complete re-lettering in order to follow the prototype but one is, atypically, exactly correct for my 1934-35 layout. It is a Delaware, Lackawanna and & Western car (#2503.2) with correct lettering, and a reweigh date of April, 1933 – perfect! Absent any need to repaint, I initially decided to more-or-less “shake the box” with this kit, and not upgrade the cast-on grab irons (as has been documented elsewhere). A transformed HO scale MTH USRA hopper. Dave Parker returns with his techniques to upgrade the MTH HO scale USRA hoppers. About three years ago, I purchased an MTH ready-to-run USRA twin hopper with the intention of kit-bashing it into a Boston & Maine car. The B&M bought 100 used twins from the C&O in late 1934 but, after squinting at several photos, I decided it was a no-go. The C&O cars were USRA-like, but had noticeable differences in overall structure and in the details. 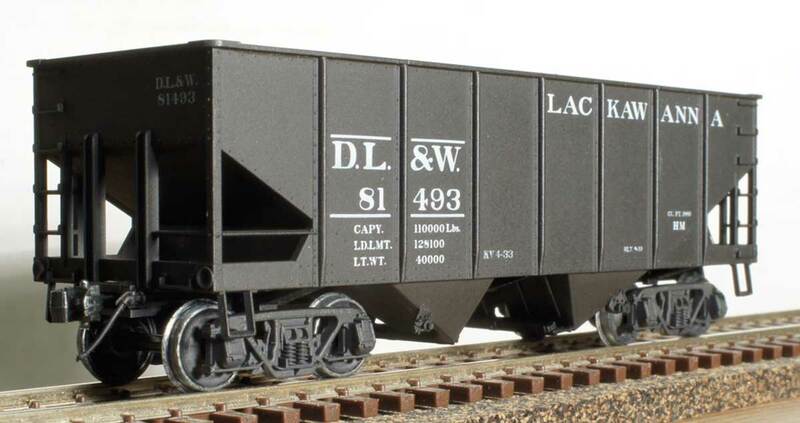 The MTH car came lettered for the Erie, and can be seen in the 1920s plastic freight car summary, but it is a foobie – the Erie never owned any USRA twins.